Big congratulations to Dustin Janzen for winning our recent raffle to win a copy of Shenmue II signed by Yu Suzuki himself! Thanks for the picture, Dustin! 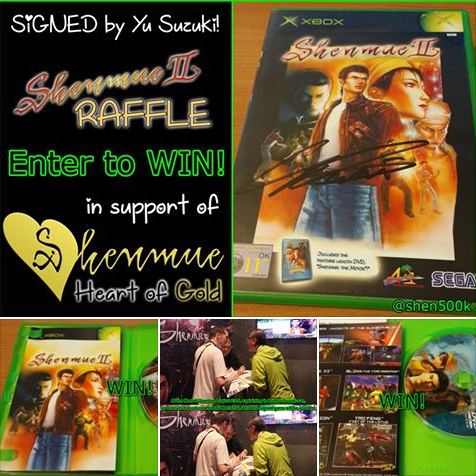 The raffle raised money for orphaned kitties at a Japanese animal shelter, as part of the Shenmue Heart of Gold campaign. Major thanks to everyone who took part, and please keep your eyes peeled for future contests announced via this website, the Facebook group, and on our Twitter account. Next Next post: English Cast of Shenmue Reunites for Hurricane Relief!